The City Park | Just Shooting Memories! 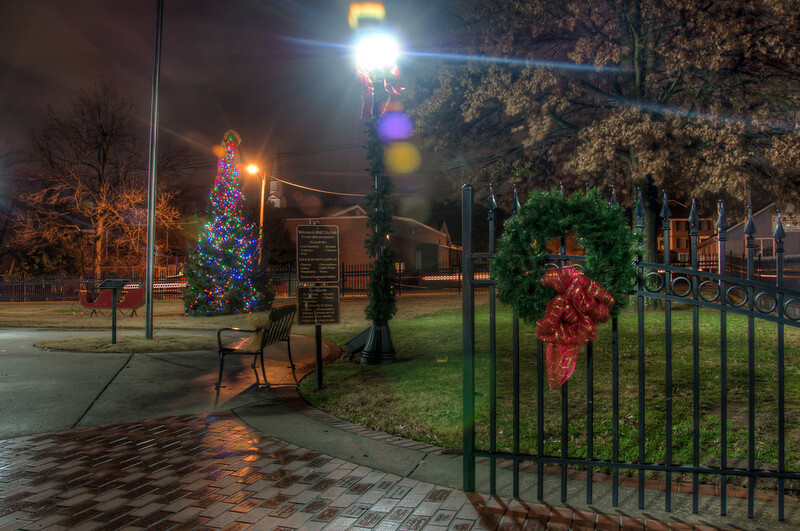 I was taking photos of the Christmas lights in Calhoun when I saw this wreath on the gate to the park. I noticed it because my sister was taking photos in the same area, probably of the same thing. It looked good against the Christmas tree and there was just enough light from the lamps behind me to balance the scene.